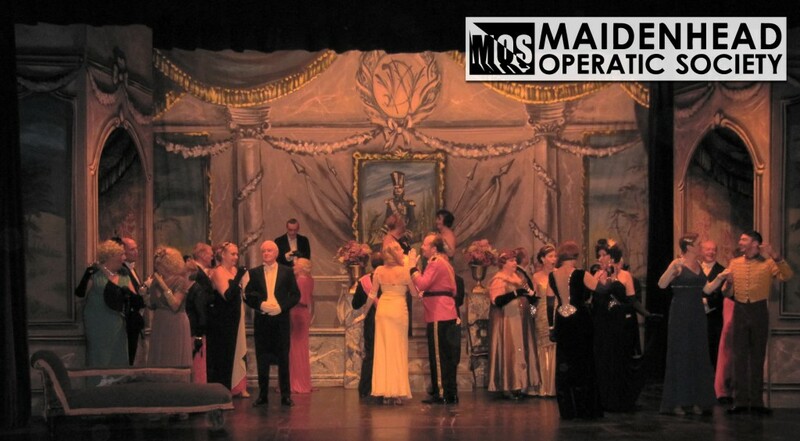 The current MOS production, in June 2014, is Franz Lehar’s The Merry Widow. Our Director, Lou Tait, is moving the action forward a few decades to the 1930s, so the show will be full of glamour as well as romance – tailcoats for you gentlemen, and elegant evening dresses for our ladies. Our Music Director, leading the cast and 8 piece orchestra, is David Hazeldine once again. Wednesday 4th June @ 7:30pm. Tickets £16 (£15 concessions on Weds and Sat only). Thursday 5th June @ 7:30pm. Tickets £16. Friday 6th June @ 7:30pm. Tickets £16. Saturday 7th June @ 6:00pm. Tickets £16 (£15 concessions on Weds and Sat only). At a high society party in Paris, hearts are set aflutter with the arrival of Anna Glavari – the beautiful, spirited and phenomenally wealthy widow of a man from the small country of Pontevedro. When the Pontevedrian Ambassador and embassy staff discover their tiny country will go bankrupt if Anna marries a foreigner, a plot unfolds to try and marry her off to the country’s most eligible bachelor – the dashing Count Danilo Danilovitsch. However Anna is looking for a man who will love her, not her fortune, and no-one is aware that he has broken her heart before. What follows is a witty tale of romance, exuberance and political intrigue, all brought to life by the magic of Lehár’s melodies. Book your tickets for the last night on: 01628 671589.